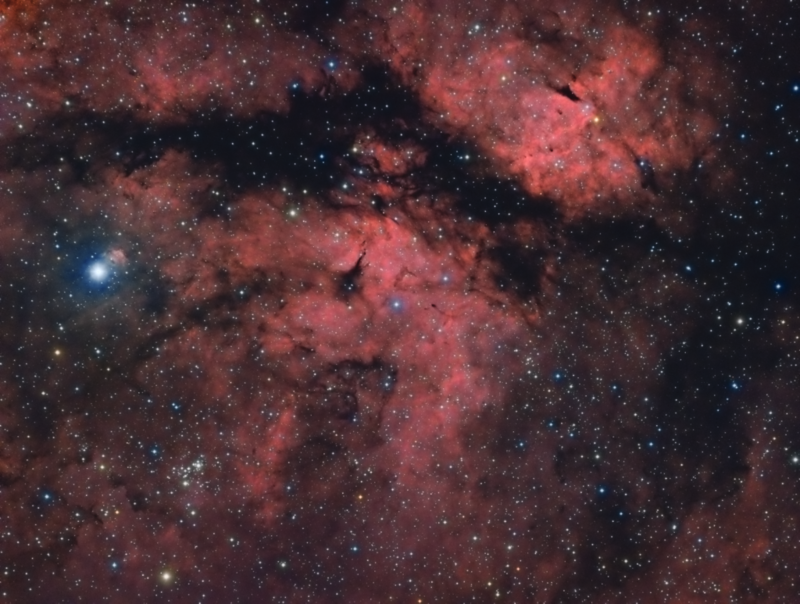 HaRGB version of the beautiful Gamma Cygni and surrounding nebulosity region. The southernmost star is SAO 49563 (or V2118 Cygni), a variable star of spectral type B1.5Ia. Gamma Cygni, not far off the galactic plane is subject to a great deal of interstellar extinction and reddening from interstellar dust. The dust selectively absorbs and scatters blue light (roughly 1/wavelength), so when you look at a star through dust it will appear redder than it really is (basically the same reason the sun is reddened at sunset). The intrinsic B-V color of a B1.5Ia super giant is -0.2. The observed color is 0.83, about the color of a K0 dwarf or a G5 giant, so the star appears yellowish to the eye. Notice the yellow stars in the cluster, caused by interstellar dust, and the bluish-white stars in the vincinity of NGC 6910. 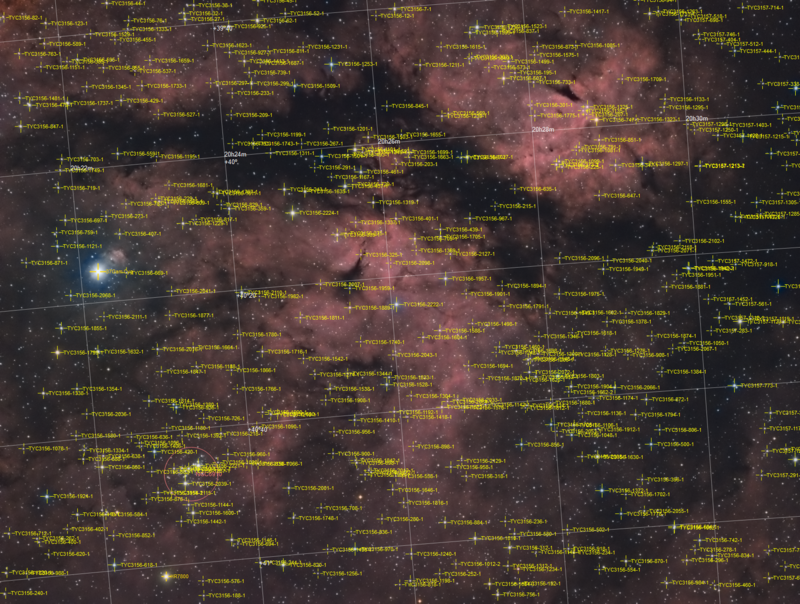 Next Next post: New astronomy website!